Good news for the Shipping companies in the USA. Settlement of marine disputes through courts is a cumbersome process. THE MARITIME ARBITRATION ASSOCIATION OF THE UNITED STATES (MAA) is the national organization of the maritime community for alternative dispute resolution. Alternative dispute resolution (ADR), including arbitration and mediation, is faster and less expensive than courtroom litigation. As a nonprofit organization, the MAA educates the maritime community about ADR and administers cases under its Rules. Maritime disputes require specialized legal expertise. 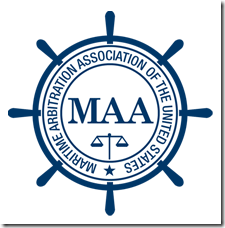 The MAA is the only national ADR organization whose arbitrators and mediators are maritime lawyers. They are peer-reviewed for the highest standards of ethics, impartiality and competence. To ensure predictability and fairness, cases are handled in appropriate U.S. venues, rather than distant cities or foreign countries. Arbitration is a private process in which a dispute is presented to an impartial arbitrator for decision. The arbitrator holds a hearing, during which the parties may present documents and witness testimony, and listens to their arguments why they should prevail. Afterwards, the arbitrator makes a decision in the case, which is written in the form of an award to one of the parties. MAA arbitration awards are based on published rules and established principles of maritime law. The MAA is a nonprofit organization, not a branch of the government. The MAA facilitates alternative dispute resolution (ADR), an out-of-court process that includes arbitration and mediation. ADR is usually faster, simpler and more economical than courtroom litigation. It allows the parties to control the process, not the other way around. The courts provide litigation as the means resolve disputes. This leads to trials that are costly, complex and time consuming. In most public courts there is little maritime expertise. The MAA offers a panel of maritime law experts to serve as arbitrators and mediators. ADR is confidential, while courtroom proceedings are public in nature, and often attract the attention of the media. Parties who wish to keep their disputes confidential choose ADR. 4.What do the courts think about arbitration? Arbitration is strongly favored by the courts. Judges routinely uphold agreements to arbitrate by ordering parties who have filed lawsuits to have their cases decided by arbitration in accordance with their agreements. 5.How long does arbitration take at the MAA? This depends on a number of factors such as the complexity of the dispute, and the schedules of the parties and witnesses. 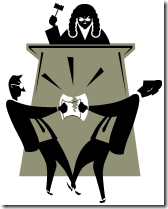 Arbitration is almost always faster than litigation because it avoids congested court dockets. The MAA offers certification programs leading to recognition as a “Certified Maritime Arbitrator” or “Certified Maritime Mediator”. Certification is the highest level of recognition by the MAA of the competency and experience of a neutral in handling maritime disputes. Not all qualified MAA neutrals are certified, but those who are certified have taken additional steps to have their achievements recognized by their peers. Next post: Kormarine 2007, the leading Marine Exhibition of Asia Pacific region.